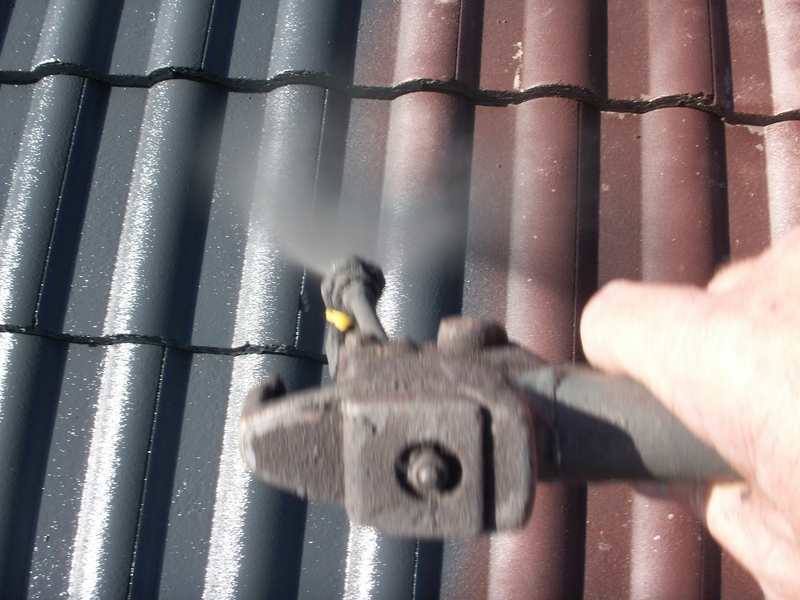 We have all seen the sign boards plastered all over the telegraph poles: “Roof painting from $1400…”. People often ask me whats the deal? Well here is a little insight into it. An average three bedroom home requires around 30 litres of sealer/primer and around 90 litres of membrane to correctly apply two coats to the required film thickness. That’s eight drums at 15litres a drum. On average a decent membrane costs upwards of $150. So just the paint alone should cost when applied correctly (not thinned or applied lightly) $1200. If the tile is porous it can far exceed this amount. Now how could someone expect labour costs of a full pressure clean, application of three coats by a professional contractor, not to mention any required repairs to cost $200… You can’t, that is where the problems begin. Cheap isn’t always best, and you usually only get what you pay for. That’s not an open invitation to be over charged or ripped off either. All I am saying is if the price is too low, there could be some short cutting, usually material or labour, or both. Lets talk about film thickness, which is of paramount importance in ensuring a long lasting finish. If the membrane isn’t thick enough it’s of fair assumption that it will weather away quicker? 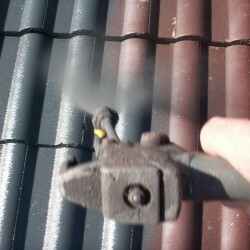 The sun, wind and rain dramatically wear all painted surfaces, your roof is no different. The thicker the coating is the longer it should be before it wears thin and fades away. If a tradesman thinks they can only apply a thin layer and not build the film thickness, well they will save themselves potentially hundreds of dollars, however you the customer is the one being left well short in the end. A few short years down the track you will soon realise the importance of using a quality applicator, who uses the correct quantities and soon forget about the few hundred dollars you saved by going with a cheap quote. Food for thought?